Write a Java program to find a contiguous subarray with largest sum from a given array of integers. 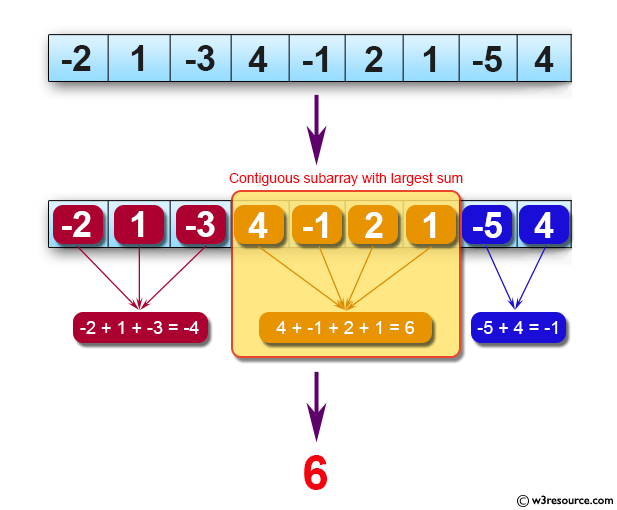 Note: In computer science, the maximum subarray problem is the task of finding the contiguous subarray within a one-dimensional array of numbers which has the largest sum. For example, for the sequence of values −2, 1, −3, 4, −1, 2, 1, −5, 4; the contiguous subarray with the largest sum is 4, −1, 2, 1, with sum 6. The subarray should contain one integer at least. Previous: Write a Java program to reverse a given linked list. 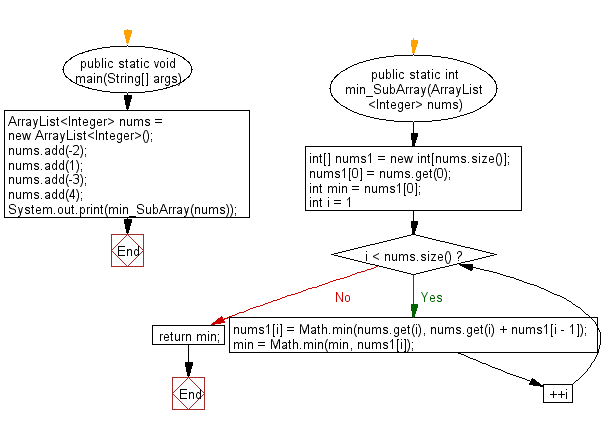 Next: Write a Java program to find the subarray with smallest sum from a given array of integers.